All Onyx homes currently listed for sale in Onyx as of 04/23/2019 are shown below. You can change the search criteria at any time by pressing the 'Change Search' button below. If you have any questions or you would like more information about any Onyx homes for sale or other Onyx real estate, please contact us and one of our knowledgeable Onyx REALTORS® would be pleased to assist you. "This Southern Sierras Ranch has been developed as a horse ranch with recreational and hunting uses bordered by BLM wilderness. 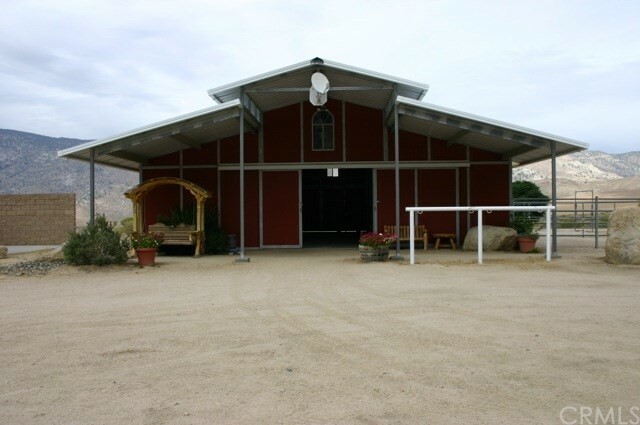 This Ranch with a very nice two story western type house overlooks the Valley along Walker Pass. The property consists of 27 parcels with a large shop, studio and office; large steel equipment storage buildings; horse stalls and paddocks; steel hay storage; pipe turnout pens; round pens and arena. There are 6 water wells and custom well houses on the property delivering water to the far reaches of the Ranch supplying the needs of livestock and wildlife. The Ranch offers many possibilities in uses from horse training, trail rides, hunting, development of underlying parcels or just enjoy the peace and serenity of the Ranch and the back drop of mountains and BLM wilderness.."